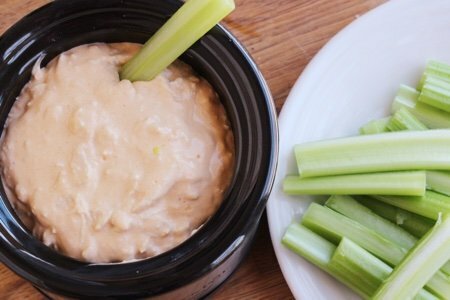 Buffalo chicken wings are usually served with a few sad sticks of celery but you can make a healthy buffalo chicken dip and serve happy celery. I happen to love buffalo chicken wings so I have come up with buffalo chicken meatballs and a baked buffalo chicken wings recipe. These attempts keep me satisfied and away from the real thing. 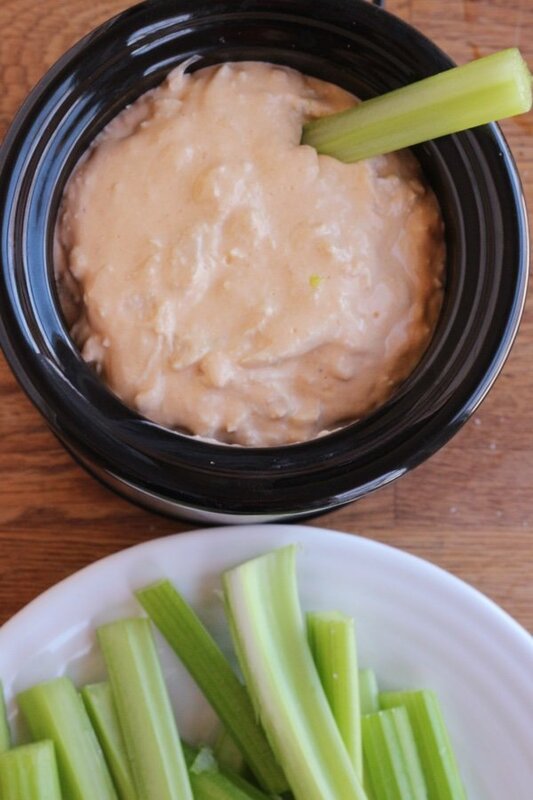 This would be great at a game day party – you could keep it warm in a small slow cooker or a fondue pot. 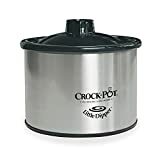 I have a CrockPot “Little Dipper” which I found at a garage sale. 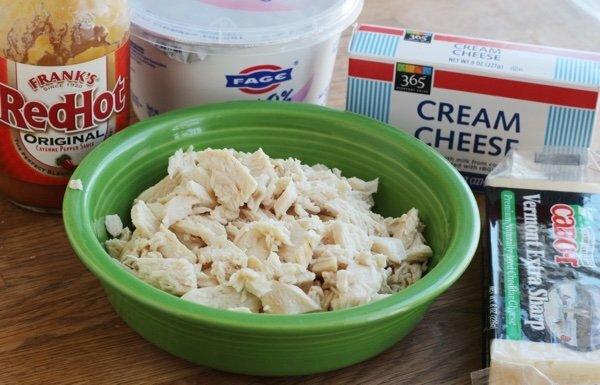 It is perfect for this dip (and any other hot dip you like to serve). See it below on Amazon – it is pretty cheap (I also melt chocolate in it).